Are American alcohol prices a ripoff? Ever feel like you’re overpaying for alcoholic beverages? If you’re in the US of A, you are probably right; our society seems to treat alcohol as a luxury rather than a commodity, and it’s priced accordingly. I took the above two photos in Spain. 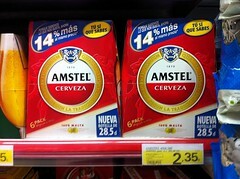 If you factor in the exchange rate the bottle of wine comes out to about $2.25 and the six pack of Amstel is about $2.85. These prices seem low but neither of these were on sale or special deals; these are everyday prices in Spain. Granted, you can pay more for imported alcohol (i.e. 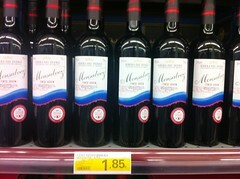 from outside the EU) or for fancier wine, but even the top shelf wines top out at about $30. 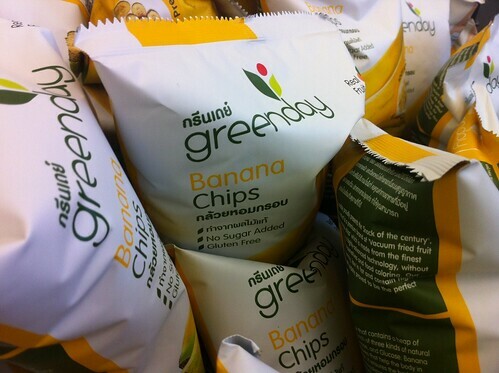 The prices here are simply a fraction of what us Americans are used to paying. I’ve found this phenomenon to be true throughout western Europe. This all makes me wonder: are we getting ripped off? Sure, you can attribute some of this to the import tax — but that can’t be the entire story since domestic alcohol isn’t much cheaper. American has a sad history of puritanical anti-fun policies, a particularly embarrassing heritage when our supposed “freedom” and “abundance” aren’t reflected in the prices we pay. It makes me wonder: are we simply getting ripped off? Why is the rest of the world paying a fraction of what we pay for alcohol when we purportedly value capitalism and freedom? Who’s pocketing the difference, and how are they getting away with it? 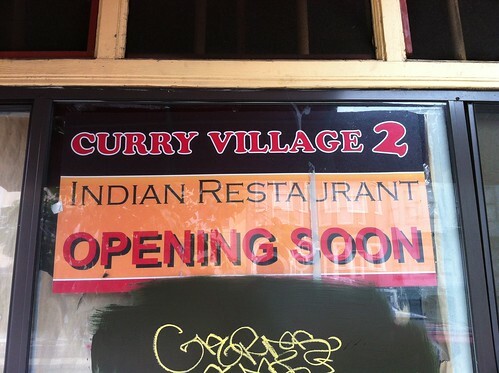 The long-shuttered Cafe Petra finally has some action, with a new sign promising a second outpost of the Inner Sunset’s popular Curry Village Indian buffet. It remains to be seen if this particularly quiet stretch of Guerrero can support a restaurant, or how this tiny storefront can house a full buffet. With Pakwan, Gajalee, and Alhamra all a stone’s throw away, there’s increasing competition for Indian restaurants in the area — great news for those of us who love Indian food. I’ve never been the type to fear clowns. 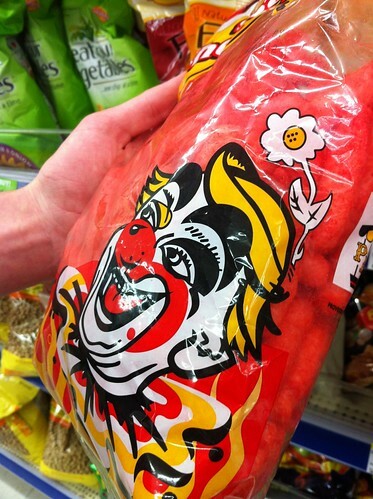 But the clown on this package of knockoff Cheetos at Walgreens makes me want to grab a flashlight and hide under the covers. “Those aren’t REAL Cheetos!” the kid replied indignantly. Yikes! In spite of the price difference, I think I’ll be sticking with my trusty old pal Chester Cheetah. The former Thrill of the Grill on Valencia has closed up shop, and is now a Nizario’s Pizza, part of a small local chain apparently owned by someone named Nizar. While I was never a huge fan of Thrill of the Grill, and their “whenever we feel like it” operating hours couldn’t have been good for business, it was admittedly a perfect spot for those times when you were too drunk to wait in line at Arinell. 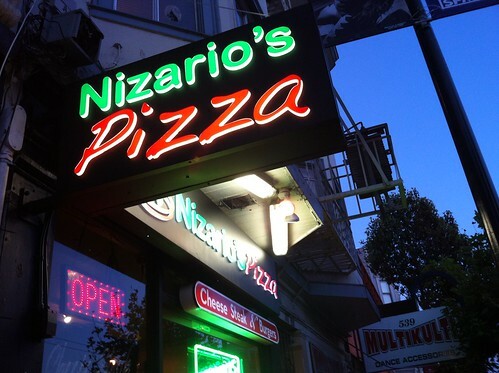 The good news is that all three of Nizario’s SF locations claim to stay open until 2am and (according to their Yelp reviews) all sell pizza by the slice. 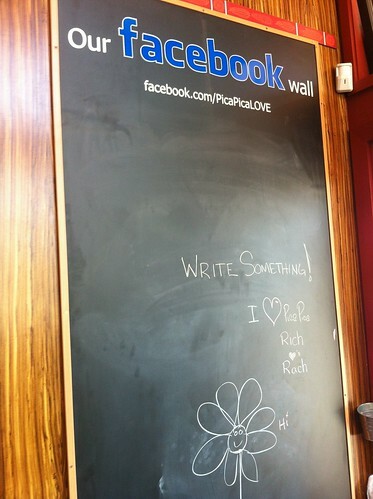 Those are two things we could use more of in this city! You are currently browsing the MrEricSir.com blog archives for July, 2012.